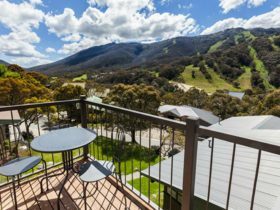 Award-winning Thredbo YHA is a purpose built lodge in the heart of Thredbo Village. 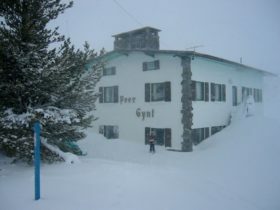 It has a very cosy atmosphere with fireplace and great views over the mountain and ski-fields. There is a great self-catering kitchen that will help you keep costs down. 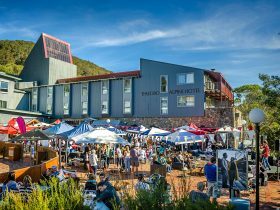 There are a range of shared and private rooms, plus a studio apartment is available during winter. 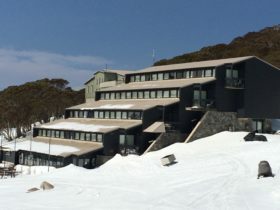 As one of the only budget options in Thredbo, the hostel is extremely popular during the ski season, so you need to book ahead. 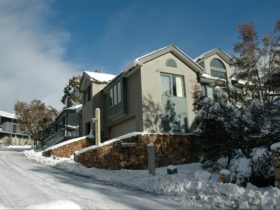 But it is also worth checking for last minute availability right through the winter. 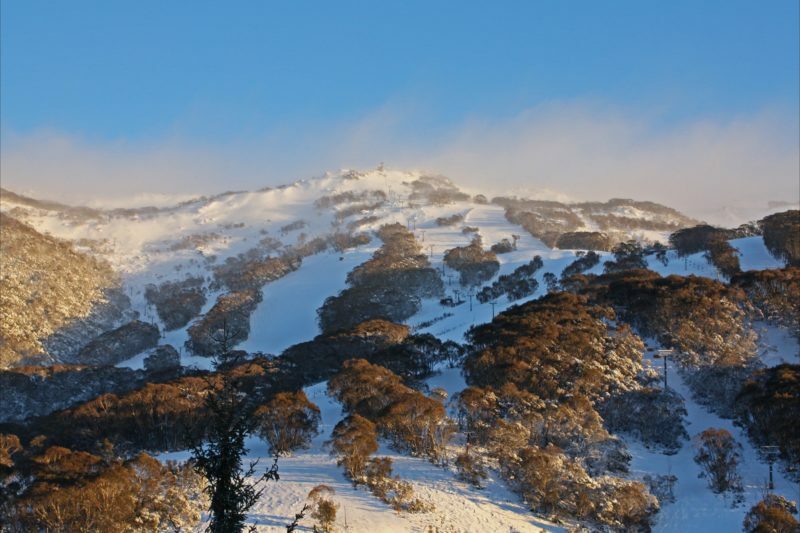 The YHA is a great base to experience Thredbo’s huge range of summer activities. Facilities include: lounge, dining, self-catering kitchen, free Wi-Fi hotspot, television room (summer), laundry, games, kiosk, barbecue and more. 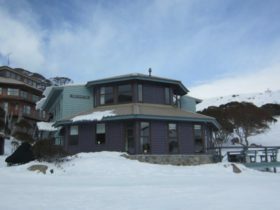 The Thredbo YHA provides multi-share sleeping four to six guests per room. 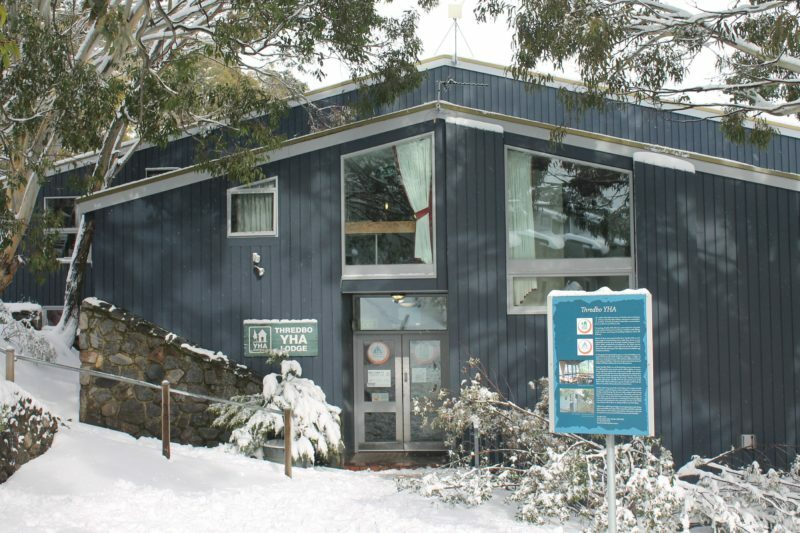 The Thredbo YHA provides twin rooms with shared facilities and twin rooms with en suite bathrooms. 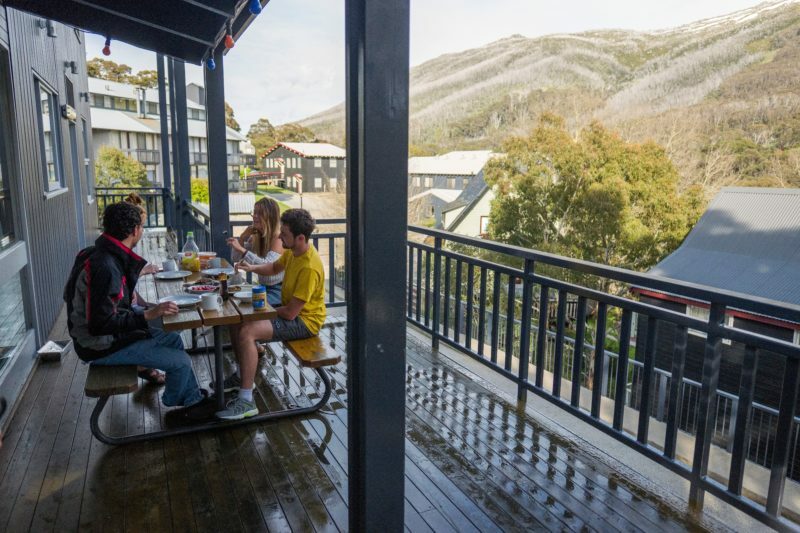 Thredbo YHA provides clean and comfortable five share family rooms and four share en suite family room.